VietNamNet Bridge – Foreigners visiting Phu Quoc will receive a free 30-day visa starting March 10. This promotion aims to boost tourism in the province. The Phu Quoc 4E International Standard Airport opened international flights on February 14. IKAR Airlines used the port transporting 250 tourists on opening day. It currently receives one direct flight from Russia per week. It is expected to receive four flights per week by the end of 2014. The port experiences 20-25 flights a day from domestic airlines such as Vietnam Airlines, Jet Air and Jet Star. Saigontourist’s Europa II Cruise Ship brought 750 tourists to Phu Quoc via An Tho Seaport on Dec. 24, 2013. The agency is planning to work with Hanseatic Ship to design tours to Phu Quoc on April 24. Phu Quoc is a region with natural beauty, sights, and beaches. The area received 416,350 tourists in 2013. 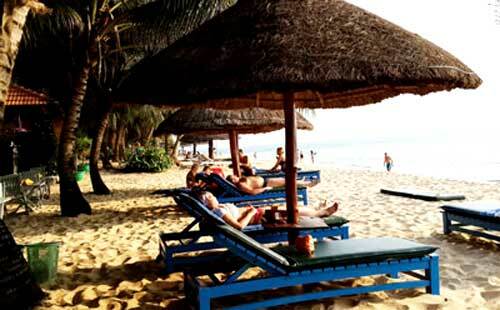 In 2020, it is expected to welcome 2-3 million tourists per year, according to Phu Quoc Tourism, Sport and Culture. Among the tourists, 35-40 percent is foreign. In 2030, tourism is expected to reach 5-7 million people per year with 45-50 percent foreign tourists.